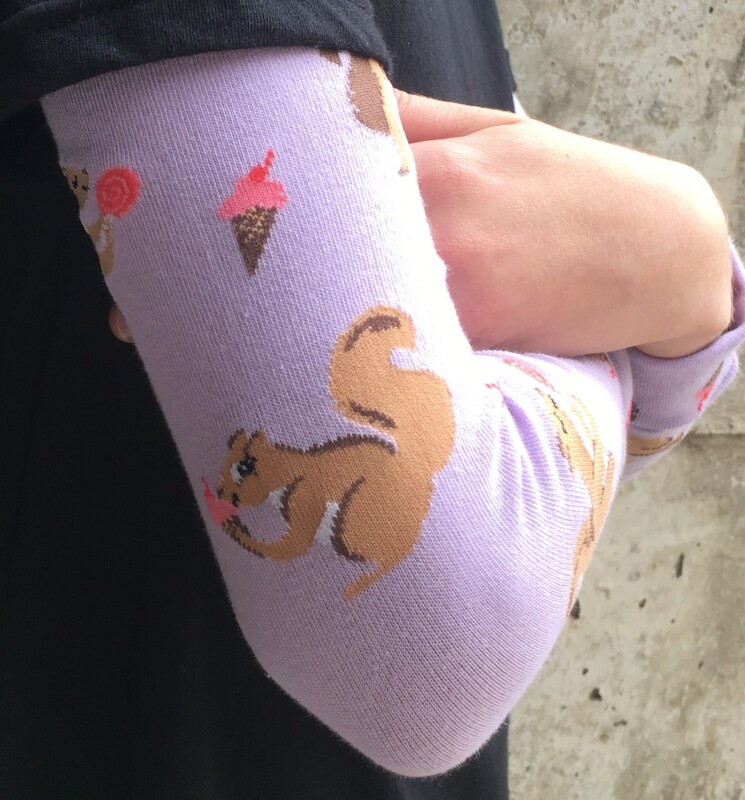 These Squirrel Design Arm/Leg Warmers are soft, comfortable and a thicker quality than most patterned warmers available. The super stretchy knit of these warmers will not lose their shape, cut into legs or fade in the wash. These boutique style leggings are a perfect gift for boys or girls. A high quality fun and functional accessory for infants, babies, toddlers, kids and tweens. You will LOVE these warmers! 10" length is suggested for Newborns to 6 months. If you choose to shorten this style part of the lower dino design will be lost. * 6 months to age 3 to the top of the thigh and slightly "scrunched" up. You can tuck the bottoms under for a smoother fit as they grow into them. * As arm warmers starting at about age 3. The fit tweens and adults will be to the elbow. - Gift wrapping and gift note available upon request.